There isn’t much I can say about pulled pork that hasn’t been said and said again by hipster foodies across the western hemisphere. Yes, pulled pork is delicious. Yes, smothering it in BBQ sauce is a crime against humanity in this world in the next. Yes, pulled pork is kind of old news, now. But you haven’t tried this one. I have personally had some serious doubts about cooking with fizzy drinks but after the success of our Christmas Holiday Coke Ham, I consider myself a convert. This recipe is deceptively easy and exactly as tasty as you hope it will be. 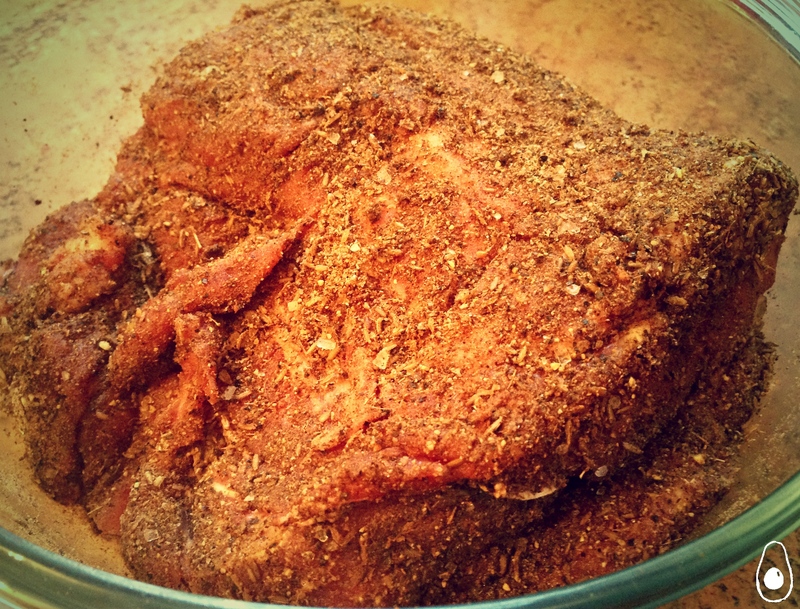 The sweetness of the ginger beer permeates the meat and ensures it stays succulent. Don’t be tempted to use diet soda. Take your time with the marinating of the pork. If you have the time, marinate it for two days. Meat that’s been left to mature in delicious spices has a far more advanced flavour profile than meat that hasn’t. My advice is to do this on a Thursday night, ready for a great, fuss free Saturday night dinner. Serve this with some delicious creamy mashed potatoes – made with some folded through roasted bone marrow if you can find it. Also include a fresh, zesty slaw. If you’re stuck, give ours a go below. It’s a no-brainer – slow cooked pork and sweet apple coleslaw? We’ve basically reinvented the roast pork dinner. 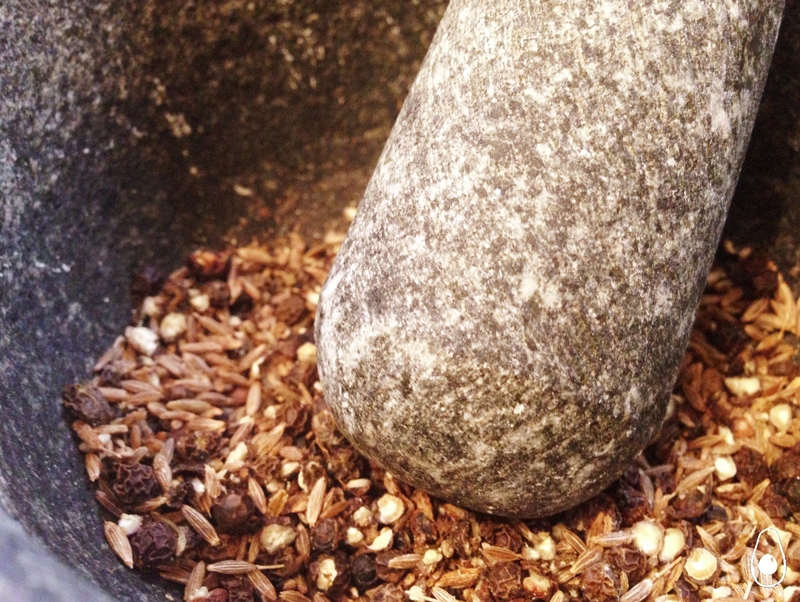 Grind all of the dry spices together and massage into the pork, which should have the crackling layer removed and be trimmed of almost all other fat (keep a little bit on, to keep it nice and juicy – the natural marble of the meat plus a bit more here and there should do). Marinade this for at least 24 hours but ideally for 48 hours. Line a roasting tray with grease proof paper and lay the onion rings in a pile on the bottom. Top with the meat joint and then pour the liquid straight into the base of the tray – avoid pouring it straight onto the joint or you’ll wash the spices off. Put in an oven which has been pre-heated to 160 degrees and cook for 4 hours. Keep some extra ginger beer on hand to top up the roasting tray when the meat starts looking dry. Turn the joint at least twice throughout the process. After four hours, take two forks and shred the meat. Serve immediately, stuffed into a white bun or poured over creamy, well flavoured mash, with a zesty and interesting coleslaw on the side. 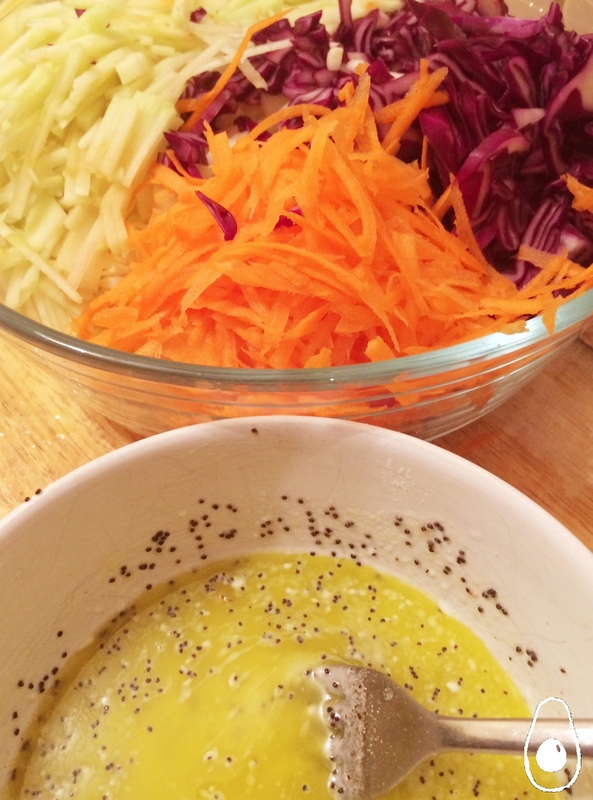 For the lemon and poppy seed coleslaw, whisk together all of the liquid ingredients and the poppy seeds an add to the rest of the ingredients and mix thoroughly. Loving it! Especially the coleslaw – the poppy seeds sound brilliant! Folded through roasted bone Marrow in the mash?? Utter genius! !